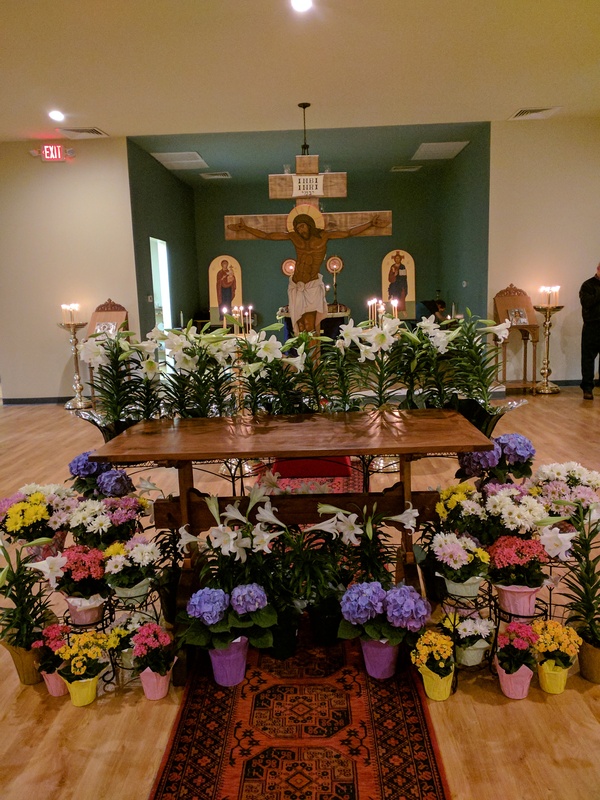 Dormition of the Theotokos Orthodox Church is a parish of the Orthodox Church in America, Diocese of the South, composed of American converts to Orthodoxy, along with Greeks, Russians, Romanians, Egyptians, Bulgarians, and whoever else walks through the front door. The community is committed to keeping the Faith as transmitted by the Apostles to the first Fathers of the Church and preserved in the Holy Orthodox Church. Visitors are always welcome at Dormition! Many of us started our journey as “visitors.” Our services are in English and open to the public. We say to all, “Come and see!” Come and see and experience the unchanged Christian Faith – the Orthodox Church!